"Exceptional through the entire process, always available!" ""Ralph was exceptional through the entire process, always available! I highly recommend him. He had someone stage our home, let us use his moving truck, and even called to follow up after we had moved. Just an all around great guy and awesome realtor." "Polished, professional, caring, and skillful agent"
""My wife and I have worked with several real estate agents over the years and we have never, repeat NEVER, worked with a more polished, professional, caring, and skillful agent than Ralph Binetti. From the first meeting, Ralph was thorough, proactive, and even though I'm sure he had other clientele, he never once made my wife or I feel as though he wasn't 100% dedicated to our transaction. Even after the point at which most agents no longer need to be involved (ie attorney review), Ralph made sure to call us frequently to ensure everything was progressing according to plan (and according to our comfort). He even let us borrow his truck to help us move (did I mention he has a truck?!?)! After several rather discouraging experiences with other agents, We'd pretty much written the whole profession off as a needless expense, but Ralph changed our whole outlook. We wholeheartedly recommend him to anyone. We'd give 6 stars if we could!"" "Straight forward, kind, considerate and very knowledgeable"
""Simply amazing! Ralph never made us feel like we were just another customer. He was always there for us, answering questions during the entire process of selling our home. He was straight forward, kind, considerate and very knowledgeable. My husband and I will be forever grateful for the exceptional care Ralph took to ensure our sale went smoothly. From the staging, to the photographer tot he listing. Ralph's practiced eye led to a very quick and successful sale. Would recommend him without reservation. Truly one of a kind!"" "Instantly picked up his phone"
"We found Ralph after doing a search on Zillow Realtors and after reading all the positive reviews we decided to call him and he instantly picked up his phone instead of going into the typical voicemail. After selling and buying several homes over the years we found Ralph to be the most professional and helpful realtor that we ever had. Besides being a genuinely nice honest guy, he was a pleasure to work with and talk to. He did a great job marketing our house, was always available and responsive to our questions or needs and In the end he was successful and sold our home. We feel that we not only found a great realtor but also a new friend. Don't hesitate to give Ralph a call, you will not be disappointed!" "Friendly and approachable agent! Understood our uncertainty with buying the right home and was flexible to many different cities we had an interest in." "Ralph is a great guy. Very knowledgeable. He sold our house very quick. He knew where to price it at and we are very happy that he was referred to us. You wont find a better realtor his team is very professional and did a great job with the staging and photos. 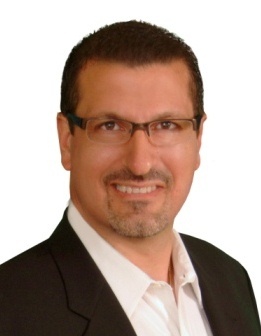 "Ralph is a very knowledgeable and honest real estate agent. With the help of his professional stager, he got our home sold in six days. He even helped move furniture!" "Ralph is a true professional. He listened to our wants and needs and guided us in the right direction for both selling our previous home and purchasing our new home. He is very patient as he showed us many houses until we found the perfect one for us. I would highly recommend Ralph to anyone who is serious about buying or selling a house." "A phenomenal real estate agent"
"Ralph was amazing to work with! We would highly recommend him to anyone in need of a phenomenal real estate agent. He sold our house in a week and found our current house that we just love! Thanks Ralph for all your help and dedication!" "Was there every step of the way"
"Ralph was a great asset in finding the right home, he was great about meeting my schedule to tour homes and was there every step of the way. I'd recommend him to any first time home buyer." "Extensive knowledge of the area"
"am very specific in what I wanted in our new home. Ralph made sure we saw every home I was interested in and helped to make sure we picked the right one. My family and I have been in our new home for 9 months and it was the best decision we made. Without Ralph I am not confident we would have had the great luck we did. Ralph has extensive knowledge of the area we wanted. I highly recommend Ralph Binetti"